Inman Motor Works is a super cool community of authentic loft homes featuring factory style windows and spacious floor plans. 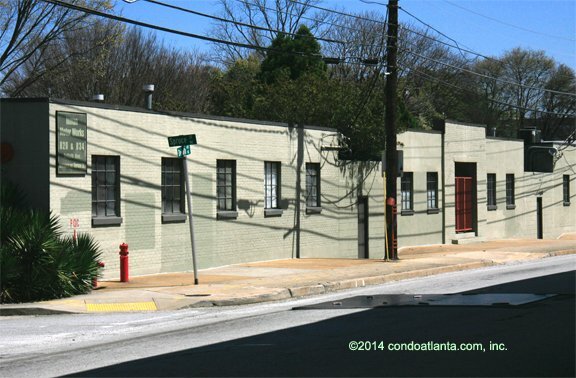 Inman Motor Works enjoys a great location near the Heart of Historic Inman Park, the Krog Street Market, the Krog Street Tunnel, and the wonderful development in and around the Atlanta Beltline. Walk to Little Five Points, Candler Park, Virginia Highland, and more. Love living in one of Atlanta’s sought after neighborhoods with easy access to Little Five Points L5P, the Edgewood Retail District, Cabbagetown, Reynoldstown, Historic Oakland, Sweet Auburn, and the Historic Old Fourth Ward O4W. Amenities include secure gated access to parking for added security.